Terry Waffle Shawl Robes (Lined): -Personalized shawl robes, monogrammed shawl robes, Personalized gifts, monogrammed gifts,. Beautiful, opulent, trendy personalized Shawl robes, monogrammed Shawl robes, Personalized gifts, monogrammed gifts, embroidered gifts, embroidered shawl robes, keepsake gifts, Shawl robes, terry velour robes, terry cloth robes, Ladies robes, Women robes, terry robes, waffle robes, waffle terry shawl robes, waffle terry robes. 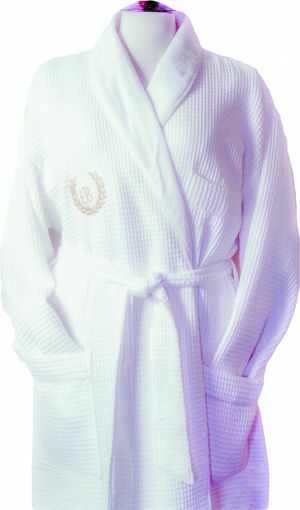 For the ultimate luxury wrap yourself in this opulent, soft terry lined - shawl collar robe. Created out of a unique luxurious waffle weave on the outside and a soft absorbent terry on the inside.